Caesars Entertainment has received a five-week stay regarding a bankruptcy judge’s order last week allowing bondholder lawsuits against the casino giant to move forward. The latest legal mandate, issued by Judge Robert Gettleman of the U.S. District Court for the Northern District of Illinois, puts a temporary halt to legal proceedings brought against Caesars in separate cases in New York and Delaware, both of which were scheduled to move forward this week. The brief stay will last until October 5th and will allow Caesars to make arguments on appeal of separate ruling last week. In that decision, rendered by Judge A. Benjamin Goldgar of the U.S. Bankruptcy Court in Northern Illinois (Chicago), Caesars lost its bid to have the original stay against those same cases extended. Caesars has continued to prolong the legal battle as it negotiates with several classes of aggrieved shareholders. 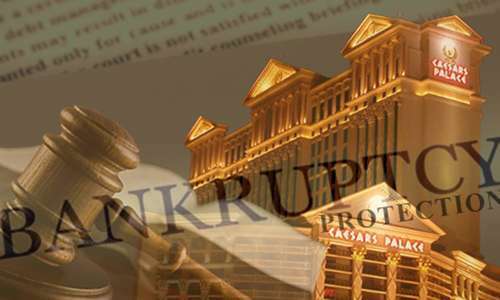 The company continues its fight to salvage the 2013 Chapter 11 bankruptcy filing of CEOC [Caesars Entertainment Operating Company], the entity created, according to the aggrieved shareholders, simply to serve as a giant debt container. As alleged in those debtholder lawsuits, Caesars management and primary corporate owners Apollo Global Management and TPG Capital Management intentionally created a “good Caesars” and a “bad Caesars — the latter being the CEOC operating entity. Then, according to those lawsuits, Caesars attempted to shed over $11 billion in debt by putting the CEOC entity into bankruptcy, while having already moved most of Caesars’ most profitable properties into other units. The total owed in case of a Caesars loss in the cases would amount to $5.1 billion plus accumulated interest. That alone is a significant amount of the total of $13 billion in debt plus accumulated interest being carried under the bankruptcy CEOC umbrella. Should these debtholders prevail, the CEOC bankruptcy would likely be annulled, a series of complex Caesars-family property and financial transactions would be unraveled, and all of Caesars would likely be forced into bankruptcy. Caesars’ corporate spokespersons have already acknowledged as much in public statements issued since the lawsuits were filed. Among the many properties and brands at risk of eventually finding new ownership are the World Series of Poker [WSOP], the WSOP.com online operations (which is currently the bulk of the Caesars Interactive unit), and even the Rio All-Suite Hotel & Casino, a Caesars-owned property that could conceivably hit the auction block. All that remains to be seen. For now, Caesars will attempt to keep the legal stay in place as it searches for ways to sweeten the pot enough to appease the jilted second-lien creditors. To date, Caesars has proposed a sweetened offer adding a little under $4 billion to the deal, but that remains far short of what the aggrieved debtholders seek. The price of Caesars [CZR] shares has dipped since Judge Goldgar’s initial ruling on Friday. Shares dipped almost two full dollars, from more than $7.50 to a little over $5.50, before Monday’s stock-market open, but recovered more than a third of that loss during Monday’s trading. The CZR share price has since stabilized around $6.35/share, or around 20% off last week’s levels.